Hello! We are so excited that you’re interested in hiring us to provide you with your wedding day visuals. Oak & Blossom is made up of Dom (on the left) and Toby (on the right) - this picture was taken on Toby's wedding day in October 2016 when he married his wife Sophia! (Dom was Toby's best man). We have been friends since childhood, and have since then become individual full-time creative freelancers. Seeing as our professions were so complimentary, it became clear that it was about time we collaborated and built something together. Sharing the love for weddings, we merged both of our freelance disciplines of photography and film into one dynamic partnership - Oak & Blossom. We think marriage is awesome! We believe it should be celebrated with gusto and documented with care, creativity and joy. 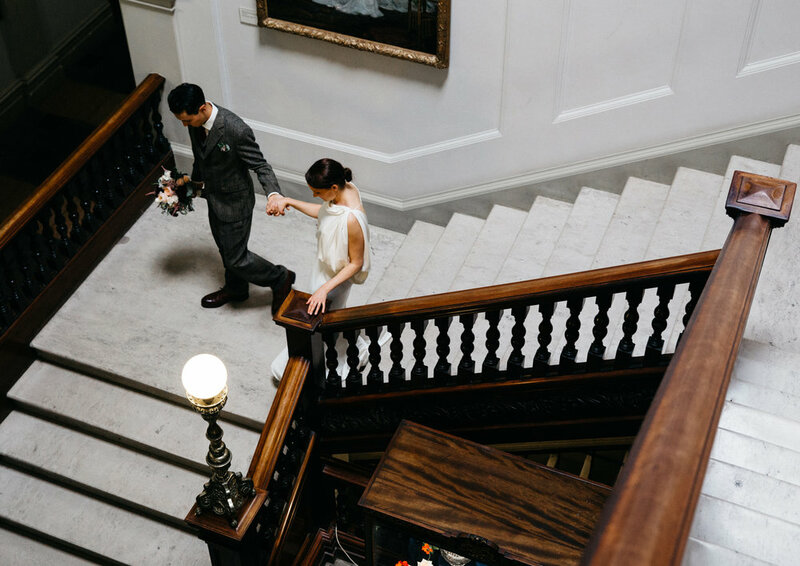 Our approach is simply to be there and capture the day as things unfold naturally. We don't formulate too many shots and definitely don't have the presence of a bossy, rude and loud photographer. No one likes that guy. We intend to blend in like one of your guests, being a kind face to you both and getting the whole story on camera. The way Oak & Blossom services are structured is simple. There are three packages to choose from: Package 1 - Photography & Video coverage. Package 2 - Just Photography coverage. Package 3 - Just Video coverage. We figured there is a gap in the market for wedding video in the UK & Europe. We are here to fill that gap and provide you with both the photography and video in one offering, keeping things elegantly simple, consistent and easy for you. For now, thank you so much for taking the time to let us pitch our work to you. Feel free to read more about what we offer below. With or without our services, we wish you both an incredible wedding day and a glorious future! 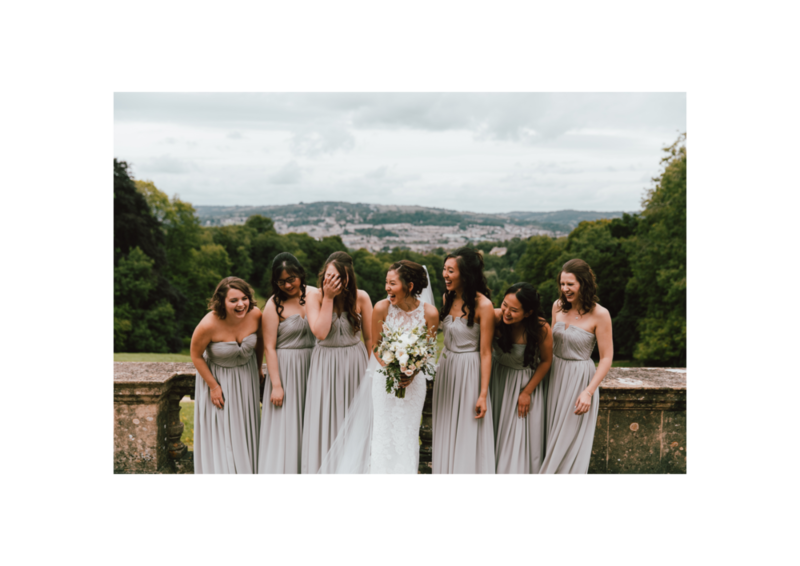 Our vision for Oak & Blossom is to provide a personable service that is relatable, reliable and original; presenting you with some of the best wedding photography and film available. We chose the name based upon Oak representing strength + foundation and Blossom representing beauty + future. We are passionate about seeing couples start this incredible life journey. Capturing the first day of that journey is, for us, a huge honour. Every couple has a unique journey. The documentation of your wedding day within that journey through film and photography is our biggest joy. Each wedding stands alone. Our heart is to keep it natural and momentary; nothing forced or awkward. Just good old fashioned storytelling. We want to seamlessly blend into your day and capture it from amongst your guests, not sticking out like the officials. We have never liked the idea of ‘capping’ time or the number of pictures you get after the wedding. You get every good picture and a film that has been woven together in a way that that brings back the memories of a beautiful day. You get us from start to end; from make up to party, we will be there the whole day. This way you don't have to be rushing anything just so you can get it captured by us. Generally speaking we leave at around 10.30pm. However, if you have an epic exit planned then we can ofcourse, stay until the end. If you would like us to capture your wedding then, first of all, that's awesome! We are so humbled and excited that you have your heart set on having us there to capture all the good stuff. To confirm your date with us we simply need a signed online booking form and a 20% deposit of the full amount of the package you choose. If your wedding is taking us out of England & Wales then the travel costs will also be required at the time of booking. Drop us an email to get started! We can’t wait to make something beautiful together.